This achievement took perseverance. Our goal was to reach Royal Emerald Director. Marlene liked the color and name. When we became Members, the sign-up fee was $25.00, but it was the best investment we ever made. Marlene had been in a vitamin MLM company. She wanted to feel better and have more energy. After having ten children, she was sick, tired and seeing a doctor about three times a month. As an Amish farmer’s wife, she constantly baked pies, cookies, cakes and big farm meals and ate herself into heaviness and tiredness. After a terrible episode of indigestion, she talked to Chairman’s Club Director Charlotte Thompson about the Healthy Cell Concept. Immediately, she knew she needed BarleyLife, Herbal Fiberblend and PrepZymes. Her enzymes were depleted due to over-cooking, eating meat and baked goods. In a matter of weeks, her colitis improved, she had more energy and lost 20 pounds. After walking to the phone an eighth mile in rain, sleet and snow, setting up booths in small towns and many in-home meetings, we got our first check which she still has a copy of. In three months, we advanced to Directors. That was a WOW moment. We are thrilled to become Blue Diamond Directors. Thanks, Dennis and Kay, Ron and Opal, AIM staff and especially our upline and downline who helped us reach our goal. Only God knows what the future holds and may He keep blessing The AIM Companies. The AIM Companies has provided world-class vegetable juice and business opportunities for over thirty-five years. We were touting the benefits of barley grass, carrot juice and beet juice back in the early 1980’s, long before it was cool. As people became increasingly aware of the gifts bestowed by well-balanced nutrition, they sought out alternatives to sugary soda drinks and on-the-go hamburgers. And The AIM Companies was there to provide. The AIM Companies has always been a leader in the industry, and now, it seems, the industry is set to grow much larger. According to a new report the vegetable juice market is poised to reach a net value of 41 billion by 2022 with a compound annual growth rate of 6.9%. That’s huge! The reports states that the market is being driven, in part, by consumers who are looking for three basic things. They want convenience. We offer that. All our products have been designed to circumvent the fuss, mess and expense of traditional juicing. We provide whole food juice powder concentrates that are as close to the way nature intended as possible. They want less sugar. A lot of the juices you find at the supermarket are loaded with added sugars and sweeteners. Our juice powders contain no added sugars. They do have the normal, natural sugars found in all garden-fresh fruits and vegetables. Fun Fact: even celery has natural sugar. And they want functionality. Our products have that. Red Rush and RediBeets can help to lower blood pressure and increase exercise performance. BarleyLife provides a battery of anti-inflammatory compounds which can help with almost anything: exercise recovery, swollen joints, etc. Basically, we have it all. And this February, we’re having a sales contest. The vegetable juice industry is about boom! Get in on the ground floor and take advantage of the growing health market by helping people get the nutrition that they’re seeking. Read more about this contest here. Nancy Fitzmorris of Covington, Louisiana reached AIM’s Million Dollar Club in September 2015. 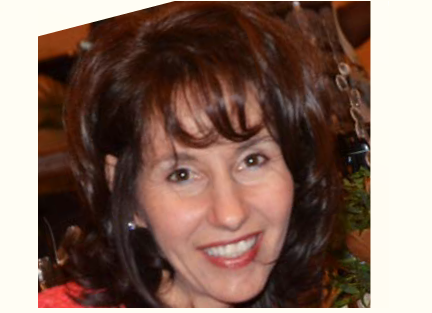 Her journey started when she saw an ad on TV that talked about slowing down the aging process. She was thirty then and had heard that “it was all downhill after thirty.” She became a voracious reader on the subjects of health and fitness and began making positive lifestyle changes. It was from her sister that she first learned of BarleyLife® back when it was still sold in a glass container with a red lid. Nancy was in the middle of researching green juices, but when she found BarleyLife, she began sharing it with others. She held numerous meetings, inviting AIM speakers whenever she could. Eventually, she opened a food co-op, and that turned into health food store called Springs of Life. She now sells organic produce, vitamins as well as the AIM products in her store. In her café, the buffalo and mushroom burgers are the top sellers. Among the AIM products, she sells more BarleyLife, Herbal Fiberblend® and Renewed Balance® than anything else. She herself takes two tablespoons of BarleyLife daily, more if she feels tired. She also uses Proancynol® 2000, Renewed Balance® and CellSparc 360® on a regular basis. 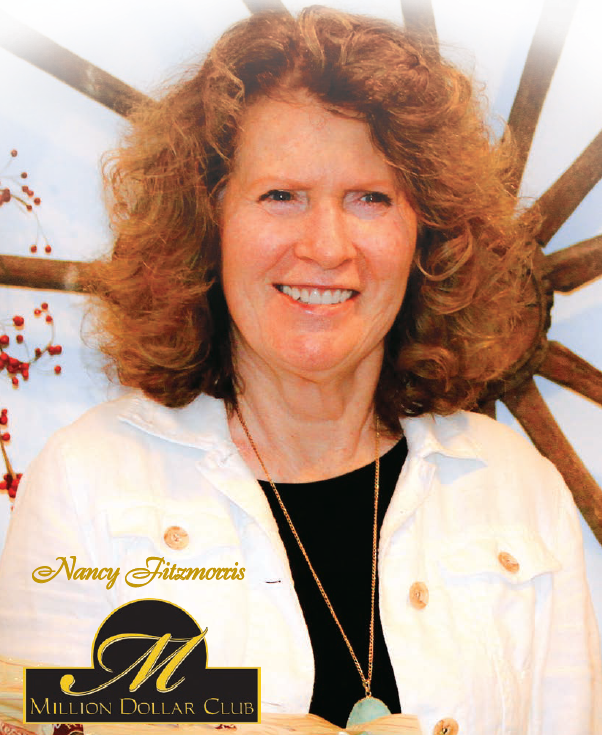 Now in her late seventies, Nancy is proud of achieving every goal that she’s set. As a lifelong hard worker, she doesn’t think that she’ll ever retire, but she hopes to take a few more vacations. She entered into the health and wellness field because she enjoyed helping people, getting them to improve their lifestyles, to exercise, to eat more vegetables, to cut back on processed foods and stress. AIM was a true godsend for me and my family. My son was born with many allergies and eczema, and he developed asthma at the age of four. I didn’t know a single thing about nutrition, so I prayed, “Lord, show me what I am doing wrong.” During the next month, He sent me to a new Bible study group, where I was introduced to the AIM products. Very skeptically, I started my son on AIM’s green barley grass powder. After using it for only a couple of weeks, my four-year- old’s asthma started to clear up. I started to read up on health and nutrition and attended a friend’s healthy cooking demonstrations. The year was 1989, and my journey with AIM to better health had started! This same friend told me about the AIM business opportunity. Being a stay-at-home mom with a struggling marriage, this caught my attention. I told my friend that I want to do this as a business. The struggles in my marriage propelled me to persevere in becoming financially independent and not give up. Not long after joining AIM, I went through a divorce. Being a single mom with no financial support from my husband, I found myself going through tough times. With the moral support of friends, family, and upline, and with a monthly AIM check, my son and I got our own little two-bedroom place. I started doing more AIM talks and educated myself in health and nutrition. Before long, I was seeing people in my small townhouse, using my little dining room as an AIM office. We used the products ourselves, but some months I only had enough income to provide my son with only one product— none for myself. We became living testimonies of the benefits of taking AIM BarleyLife® and other AIM products. Through high school, I was able to be there for him, too—to watch his games, to see him grow up. I always paced myself, trying not to spend too much time on my business and neglect my first priority, which was being a mother. In this current season of our lives, my son is off to college, turning twenty-one this year, and I am able to spend more time on AIM. I have a goal to enlarge my income and to reach as many people as possible with AIM’s excellent products and business opportunity. Today I am married to a very kind man who gives me the freedom to do health talks, meetings and training, to travel extensively and to reach those people in need of health. In looking back, I can truly say that the Lord sent AIM into our lives and that through AIM our lives have changed. Author The AIM CompaniesPosted on October 23, 2015 October 23, 2015 Categories BarleyLife, Business, TestimoniesTags Allergies, asthma, business building, Health, income opportunities, nutirtionLeave a comment on AIM Changed My Life!